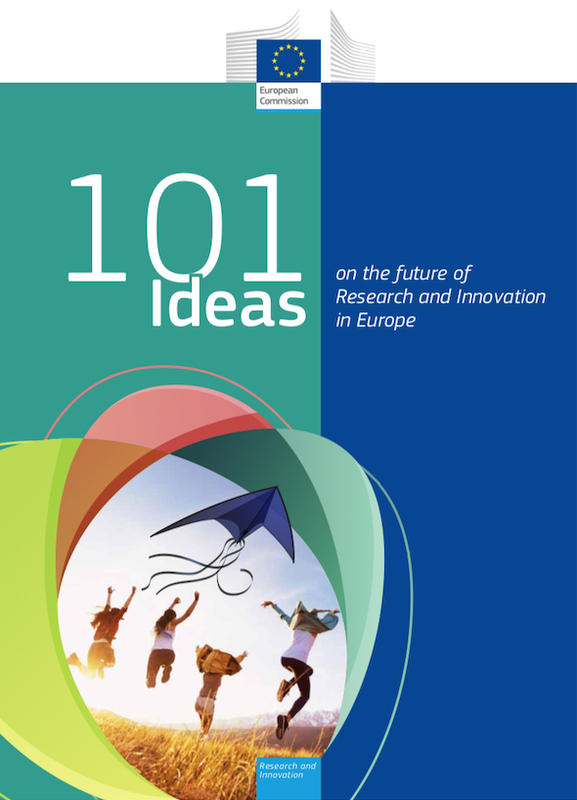 It’s an honour for our Founder Dr. Daria Tataj to be RISE Chair and together with her Colleagues from the RISE group present „101 ideas on R&I in the Future Of Europe”. The research, innovation and science expert group is a high-level group of policy experts who advise the Commissioner for Research, Science and Innovation, Carlos Moedas. The group was set up in 2014. Their work focuses on direct policy advice taking a long-term, structural reflection on the role of research and innovation policy in the future EU agenda. Our founder, Dr. Daria Tataj gave two Network Thinking™ Innovation Masterclasses for over 100 MBA students. She brought over 100 MBA candidates. She explored her research-based methodology to deploy disruptive innovation as a growth model for smart cities. She referred to Barcelona, a global leader of a large-scale urban transformation and digital policies as well as her work for Badalona and Palma de Mallorca. Dr.Tataj also participated as a jury member of the pitch competition for business concepts to deploy cutting-edge technologies to grow innovation ecosystems. The conference took place at Esade Creapolis campus in Sant Cugat with its new experimental innovation space FusionPoint brining business, engineering and design students to work together. We were excited to form a truly uncommon partnership of art and innovation to experiment with Network Thinking™- our research-based methodology helping people learn how to work in networks. You could meet us on MWC19_4YFN19 on Feb 25, 26, 17, 3PM space Mobile World Capital. Network Thinking™ is a research-based training methodology developed by Dr. Daria Tataj. Anchored in Prof. Castells’ theory of the Network Society, it creates a process to unleash growth through the power of networks. This Innovation Masterclass was organized by Tataj Innovation Studio to discuss a growth model for mid-size cities in the network economy. It gathered key representatives of the Catalan ecosystem who played the Network Thinking™ prototype game to strategize how to transform ideas of the EIT Alumni developed during StartupDays Barcelona to transform Badalona Port and famous „3 Chimeneas” power plant factory. The European Commission has published a report “Start-ups, Scale-ups and Entrepreneurship in Romania” prepared under the EU Policy Support Facility. 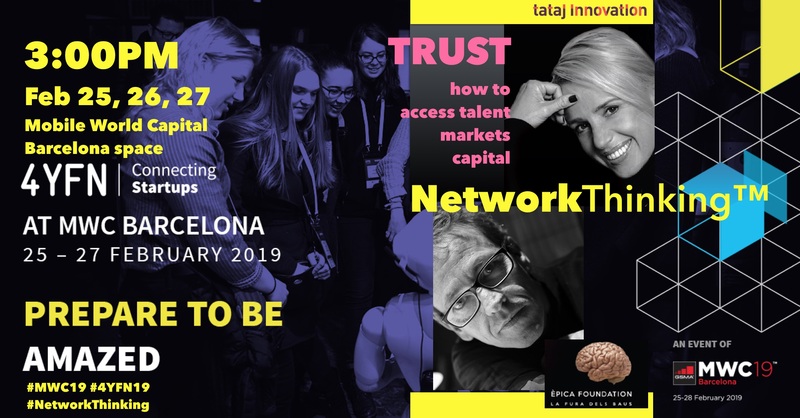 Dr. Daria Tataj, Founder and CEO at Tataj Innovation, was one of the international experts who have prepared the Report along with Pablo Andres (Portugal, Chair), Jean-Michel Dalle (France), and Jari Romanainen (Finland). Dr. Tataj acted as the Rapporteur and in this role she was responsible to drafting the report which offers policy guidelines for the Romanian government. The key message is: innovation and entrepreneurship policies are key for Romania’s future growth and competitiveness. After New York, Trento, Brussels and Madrid, DUBAI is the 5th city to host the promotion of the TATAJ INNOVATION LIBRARY book by Daria Tataj ‘Innovation and Entrepreneurship. A Growth Model for Europe Beyond the Crisis’ with the Preface by the Holberg Prize Winner Manuel Castells. “Arab Innovation Summit, one of the most important global events where business and government leaders meet. I am very honored to be invited to present my book and give a keynote on why certain cities, regions and countries are more successful than others in innovating. You will learn how you can replicate your success on the global scale and attract investors, nurture high-growth companies and empower your talented people to innovate better and faster.”, says Daria Tataj, Founder of TATAJ INNOVATION and the Chairwoman of High-Level Advisors to the European Union Commissioner for Research, Science and Innovation. The book by Dr. Tataj published by Tataj Innovation Library New York was launched for the readers in Spain by the royal COTEC Foundation for Innovation. The book explores the process by which innovation is created and offers a model how to boost innovation on a massive scale. Dr. Tataj has been appointed as a Chairwoman of Advisors to Carlos Moedas, EU Commissioner for Research, Science and Innovation.